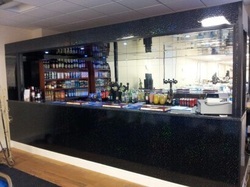 We have recently completed the refit of our Bar Area in The Saffron Suite. We can now offer a pay bar for all clients wishing to book the suite and have their guests buy their own drinks. Alternatively guests can ring their own drinks to give to their guests.